Water Resistant 2 compartments Ultrabox Locker - Strong and tough for the most extreme of environments. The Ultrabox lockers are Rated up to IP53 which means the compartments will with stand water ingress i.e. spraying water. 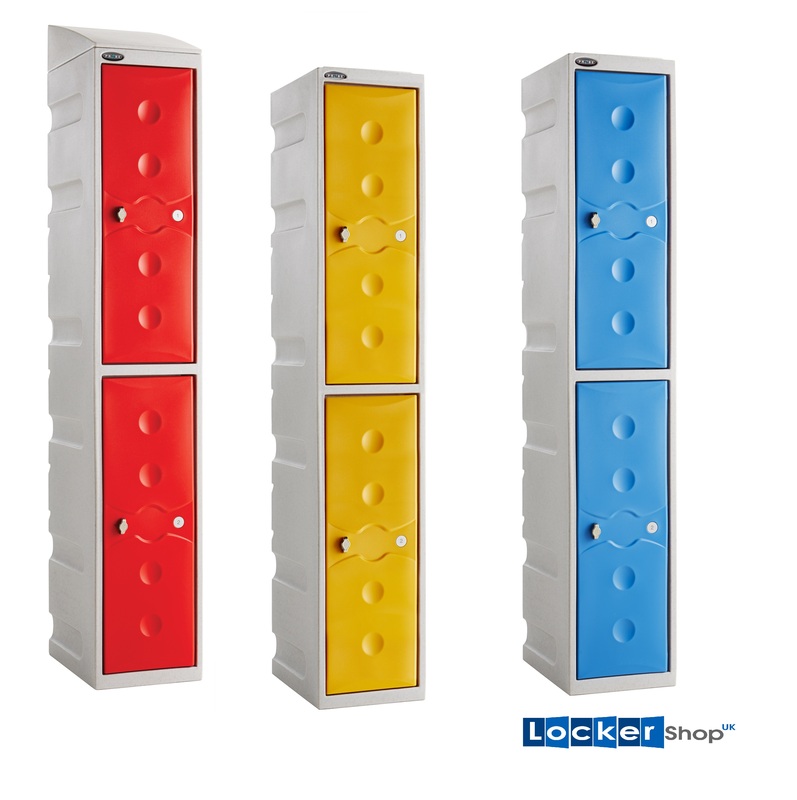 If you require the lockers to be waterproof please select the Ultrabox Plus range. Product image shows the red 2 T Ultrabox locker fitted with the optional sloping top.